Monthly prayer and encouragement call to help strengthen marriages. These live audio sessions are for those who are married or currently separated and have dealt with the issue of emotional or physical adultery within their marriages. For those who can not call in at the scheduled time, the taped audio sessions are available online for free for use anytime during the day. The number to call in on the 15th of each month. An act of emotional or physical adultery should not result in the end your marriage. Find out how you can walk in true emotional healing as you allow the pure love of God to help restore your marriage covenant. 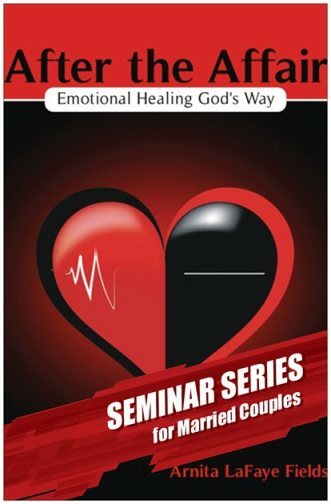 If you recently experienced or are still recovering from the after effects of your spouse's emotional or physical affair (s), After the Affair, Emotionally Healing God's Way: Seminar Series for Couples will help you to move forward in a healthy and Godly manner. If your church, ministry or organization is interested in hosting a seminar for your singles or married couples group, you may contact us at After the Affair, Emotional Healing God's Way: Seminar Series for Couples by writing P. O. Box 754301, Memphis, TN 38175 or by calling 901. 288.0490. You may also direct additional inquiries to: aftertheaffairseminars@yahoo.com.